Don't risk the loss of your main power source while your out in the field, make sure you perform regular generator maintenance. Generators have a number of product features and moving parts that require periodic preventive maintenance. Gas powered engines are especially vulnerable if not started during periods of inactivity. Load bank testing should be done occasionally to ensure generator is providing proper electrical output. When your generator requires maintenance or repair trust the experts at ReadyRepair to ensure a timely return of your equipment. 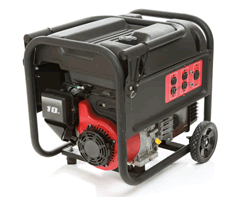 Some of the generator brands we service include: Black & Decker, Briggs & Stratton, Honda, Ryobi and many more. Call us for details regarding the maintenance of your generator.